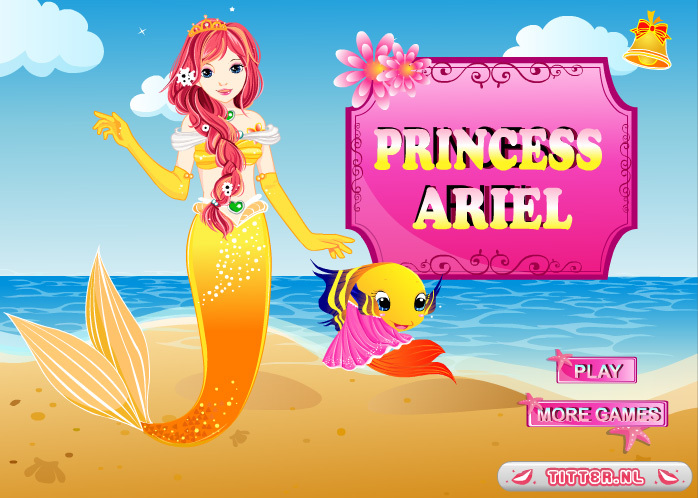 This princess game is about Ariel. She lived in the sea, but one day she fell in love with a prince. He also loved her. By magic, her tail was changed into a pair of legs. But when she lived in the castle with her prince she sometimes longed for her life in the sea, with the fish and all the other creatures of the sea. In this game you can give Ariel a pair of legs and beautiful dresses and more, so she can be the belle of the ball in the castle. But you can also give her a tail and let her swim in the sea with a colorful fish, which you also can make beautiful.